“We are grateful to The Washington Post, The New York Times, Time Magazine and other great publications whose directors have attended our meetings and respected their promises of discretion for almost forty years. It would have been impossible for us to develop our plan for the world if we had been subject to the bright lights of publicity during those years. But, the work is now much more sophisticated and prepared to march towards a world government. The supranational sovereignty of an intellectual elite and world bankers is surely preferable to the national auto determination practiced in past centuries.” – David Rockefeller, founder of the Trilateral Commission, in an address to a meeting of The Trilateral Commission, in June, 1991. The public airwaves in this country have slowly been taken away from the public. There was a time when broadcasters were called upon to be responsive to the needs of the citizenry and present all sides of any given issue. It was part of their calling – to be the Watchdog of Democracy. this – instead of behaving as the Watchdog of Democracy, the media has become the Lapdog of government. which will benefit the Corporate Media is advanced as the ‘correct’ side. Talk radio in this country is a hotbed of vicious right-wing hate speech. Rush Limbaugh and Michael Savage routinely proclaim that progressive thought is tantamount to an assault on Democracy. Any questioning of government policy is framed as ‘obstructionist’. And instead of attempting to call any of these hate-mongers to account, they are dismissed as ‘entertainment’ and the government focuses on the ‘indecency’ of a harmless Victoria’s Secret fashion show. Something is wrong here. Very, very wrong. In the old Soviet Union, the government controlled the media. Not a word of substance could be published without prior approval from the Bolshevik commissars. Today, in the United States, the situation is starkly similar. But most Americans don’t even know it. In the United States today, it is a select handful of super-rich families and tightly-knit financial interests—a plutocratic elite—who own the Big Media and who control the government through their ownership of that media. Every single one of the major media outlets is controlled by this powerful interlocking combine. ABC, CBS, NBC, CNN, Time, Newsweek, U.S. News & World Report, The New York Times, The Washington Post, The Los Angeles Times, The Chicago Tribune—even such “regional” giants as The New Orleans Times-Picayune, The Miami Herald, The San Diego Herald-Tribune. . . . The list goes on and on. And these media powerhouses control dozens— actually thousands—of other daily and weekly newspapers, magazines, and radio and television outlets across America (and around the globe). In 1989, there were 11 major media giants emerging as the most powerful names in the global Media Monopoly. Today [written in 2007] there are nine major corporations dominating the global media (although two of the nine are actually controlled by one family and as time passes more are consolidating further). “These international bankers and Rockefeller- Standard Oil interests control the majority of the newspapers and magazines in this country. They use the columns of these papers to club into submission or drive out of office public officials who refuse to do the bidding of the powerful corrupt cliques which compose the invisible government…. These warnings fell on deaf ears, drowned out by the music and excitement of the roaring 20’s. People don’t tend to complain much in times of prosperity, so the money changers used this boom time they had created to defuse any complaints about their growing control. Established in the aftermath of World War I under the patronage of the Duke George of Kent (1902-42), the original Tavistock Clinic, led by John Rawlings Rees, developed as the psychological warfare center for the royal family and British intelligence. Rees and a cadre group of Freudian and neo-Freudian psychiatrists, applied wartime experience of psychological collapse, to create theories about how such conditions of breakdown could be induced, absent the terror of war. The result was a theory of mass brainwashing, involving group experience, that could be used to alter the values of individuals, and through that, induce, over time, changes in the axiomatic assumptions that govern society. In the 1930s, Tavistock’s extended networks developed a symbiotic relationship with the Frankfurt Institute for Social Research, created by European oligarchical networks, which focused on the study and criticism of culture from a neo-Freudian standpoint. In the late 1930s, with its operations transferred from Germany to the New York area, the Frankfurt School coordinated the first analysis of the impact of a mass media phenomenon, i.e., radio, on culture–the Princeton-based “Radio Research Project.’’ Today the Tavistock network numbers in the several millions around the world, and it is the single most important factor in determining the design and content of mass media product. In 1937, the Rockefeller Foundation started funding research to find the effects of new forms of mass media on society, especially radio. Several universities joined up and a headquarters was formed at the School of Public and International Affairs at Princeton University. 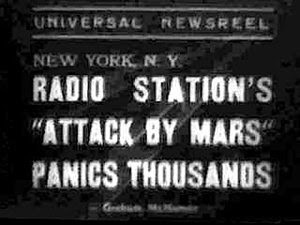 The Radio Project also researched the 1938 Halloween broadcast of The War of the Worlds. They found that of the estimated 6 million people who heard this broadcast, 25% thought it was real. Most of the people who panicked did not think that it was an invasion from Mars that was occurring but rather one by the Germans. This, the researchers reported, was because the show had followed the “news bulletin’’ format that had earlier accompanied accounts of the war crisis around the Munich conference. Listeners reacted to the format, not the content of the broadcast. By controlling the levels of anxiety, it is possible to induce a similar state in large groups of people, whose behavior can then be controlled and manipulated by the oligarchical forces for whom Tavistock worked. Mass media were capable of reaching large numbers of people with programmed or controlled messages, which is key to the creation of “controlled environments’’ for brainwashing purposes. As Tavistock’s researches showed, it was important that the victims of mass brainwashing not be aware that their environment was being controlled; there should thus be a vast number of sources for information, whose messages could be varied slightly, so as to mask the sense of external control. Where possible, the messages should be offered and reinforced through “entertainments,’’ which could be consumed, without apparent coercion, and with the victim perceiving himself as making a choice between various options and outlets. As was obvious from even the earliest clinical studies of television (some of which were conducted in the late 1940s and early 1950s by Tavistock operatives), viewers, over a relatively short period of time, entered into a trance-like state of semiawareness, characterized by a fixed stare. The longer one watched, the more pronounced the stare. In such a condition of twilight-like semi-awareness, they were susceptible to messages both contained in the programs themselves, and through transference, in the advertising. They were being brainwashed. Television moved from being a neighborhood oddity, to mass penetration of especially urban areas, during approximately 1947-52. 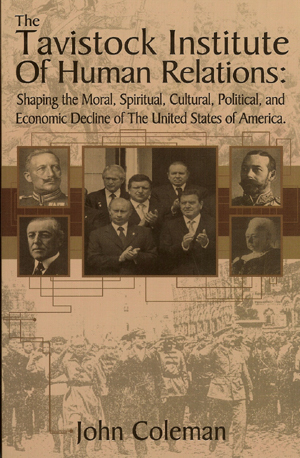 As Lyndon LaRouche has observed, this coincided with a critical period in the nation’s psychological life. The dreams of millions of World War II veterans, and their high hopes of building a better world, crashed to earth in the morally corrupt leadership of the Truman administration and ensuing economic depression. These veterans retreated into family life, their jobs, their homes, their living rooms. And, in the center of those living rooms was their new television set, whose banal images provided assurance that the corrupt moral choices they had made were correct. The earliest programming fell back on the tested models of radio, as described in the Radio Research Project: the situation comedy, or “sitcom,’’ the game shows, the variety shows, sports, and the “soaps.’’ Many were in serial form, with interlocking characters, if not stories. All were banal, deliberately designed so. 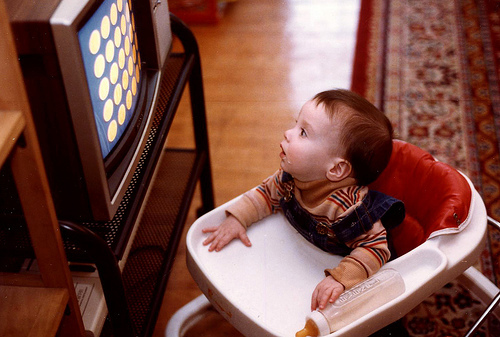 The children of these unhappy veterans, the so-called baby boomers, became the first generation to be weaned on what LaRouche calls “the one-eyed babysitter.’’ Television viewing was encouraged by parents, often as a means of controlling the children, who would stare at whatever was on the screen for hours on end. The content of the first children’s programs was banal (but no more so than the television programming in general), and mentally destructive; even more destructive was the replacement of real family interaction by television viewing, as the dinner table was replaced by the “TV dinner’’ in front of the tube. Not surprisingly, the children fixated obsessively on the items advertised by the media, demanding that they be given such items, lest they not be like their friends. In the mid-1970s, Eric Trist, who, until his death in 1993, headed Tavistock’s operations in the United States, and Tavistock’s main media “expert,’’ Fred Emery, reported on their findings of the impact of 20 years of television on American society. In Emery’s 1975 work, Futures We Are In, they reported that the content of programming was no longer as important as the sheer amount of television viewing. Average daily viewing time had risen steadily over the two decades since the introduction of the medium, such that by the mid-1970s, it ranked as a daily activity only behind sleep and work, at almost six hours a day (since then, it has risen still further, to more than seven hours, with the addition of video games, home videos, and so on); among school-age children, the time spent viewing television ranked just behind school attendance. These findings, Tavistock indicated, strongly suggested that television was like an addictive drug. 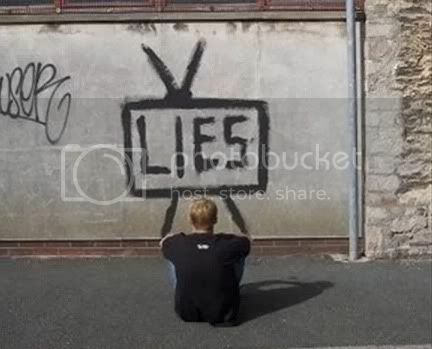 Similarly, Emery reported on neurological studies which, he claimed, showed that repeated television viewing “shuts down the central nervous system of man.’’ Trist and Emery find nothing wrong with such developments, which indicate that television is producing a brain-dead generation. Who shall administer this “friendly fascist’’ world order? Gross explained that there now truly exists a “Golden International,’’ a term that he credited to the late Communist International (Comintern) leader Nikolai Bukharin. It is an enlightened international elite, based within the powerful European centered oligarchy that controls the global multinational communications industry, as well as other critical resources and global finance. This elite must be instructed and informed by the intelligence of the Tavistock networks; they must be shown that the great masses of television-fixated mental zombies can be won easily to this brave new world, through inducements of entertainments and the endless supply of“information.’’ Once the masses are won over, through “education,’’ then the resistance within national sectors will collapse. “Americans don’t really think–they have opinions, feelings,’’ said the Futures Group’s Hal Becker in a 1981 interview. The Associated Press, or AP, is an American news agency, and is the world’s oldest and largest organization. The AP is a cooperative owned by its contributing newspapers, radio and television stations in the United States, which both contribute stories to it and use material written by its staffers. Many newspapers and broadcasters outside the United States are AP subscribers — they pay a fee to use AP material but are not members of the cooperative. It is the behemoth of news reporting, providing what its editors determine is the news to a billion people each day. Through its feeds to thousands of newspapers, radio and television stations, AP is a major determinant in what Americans read, hear and see–and what they don’t. Each main news station has a direct feed computer which feeds in video, photographs, and news from agents around the world. They control what they call news and what you see. Once the major news studios gets the video and photos they are directed from a producer above to “make the news” the way they want to spin it. During the Iraq war NBC news researchers were told to comb through hours of footage of death and destruction to pick out a piece with soldiers laughing and walking to show that the war was going well. If that is not manipulation of the news then I do not know what is. As of 2005, AP’s news is used by 1,700 newspapers, in addition to 5,000 television and radio outlets. Its photo library consists of more than 10 million images. The AP has 243 bureaus and serves 121 countries, with a diverse international staff drawing from all over the world. 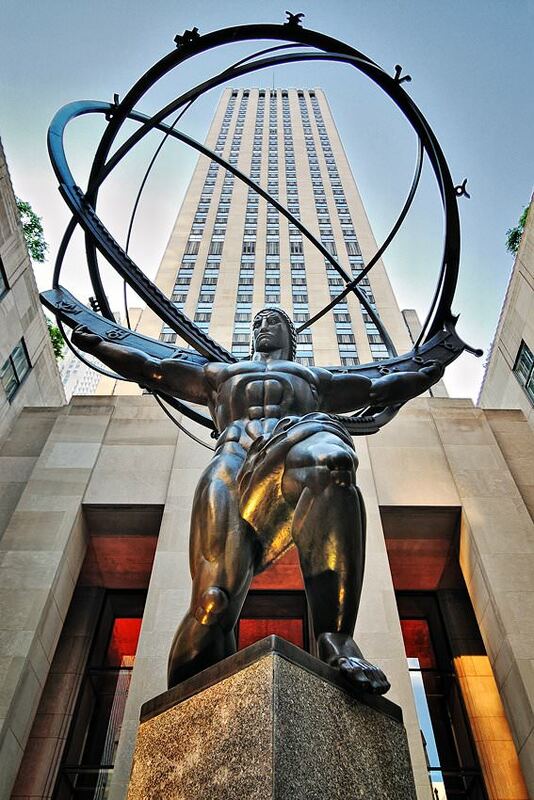 Rockefeller Center, hailed by critics as the 20th century’s greatest urban development, included the AP as an original tenant. The Associated Press Building was a fixture in the complex, along with the towering GE Building, the skating rink and Radio City Music Hall. In 2004 the AP building expanded to a new building. On Oct. 17, 2004 Israeli military forces invaded Balata, a dense, poverty-stricken community deep in Palestine’s West Bank (Israel frequently invades this area and others). According to witnesses, the vehicles stayed for about twenty minutes, the military asserting its power over the Palestinian population. The witnesses state that there was no Palestinian resistance–no “clash,” no “crossfire,” not even any stone-throwing. At one point, after most of the vehicles had finally driven away, an Israeli soldier stuck his gun out of his armored vehicle, aimed at a pre-pubescent boy nearby, and pulled the trigger killing 12 years old Mohamed El Dorra. An AP cameraman had filmed the entire incident. This cameraman had then followed what apparently is the usual routine. He sent his video–an extremely valuable commodity, since it contained documentary evidence of a war crime–to the AP control bureau for the region. This bureau is in Israel. What happened next is unfathomable. Did AP broadcast it? No. Did AP place the video in safe-keeping, available for an investigation of this crime? No. According to its cameraman, AP erased it. Rockefeller influence on the media is immense, particularly on the major television networks. In fact, according to researcher Peter Borsnan, the Rockefeller family’s Chase Manhatan Bank (and the other Rockefeller institutions)are among the largest holders of network stock, with substancial interests in all three networks. Chase Manhattan controls fully 14 percent of CBS stock. Stock analysts note that with stock widely distributed among shareholders, institutions can weild influence or outright control with 5 percent, sometimes as little as 1 or 2 percent, equity. Out of its 1,551 members, 60 were listed in the official Rockefeller’s CFR reports as engaged in “journalism.” An additional 61 were listed in “communications management,” a highly descriptive title, because CFR members do indeed “manage” mass communications media, especially the influential segments. They control or own major newspapers, magazines, radio and television networks, and they control the most powerful companies in the book publishing business. The American Broadcasting Company [ABC] is the Tag-Along Tooloo of the Big Three networks. It has 153 TV stations and specializes in escapist entertainment. It generally leaves the “documentary” propaganda to the Big Two. Its news audience amounts to only 7 million, while the other networks divide up the remaining 35 million news watchers. It does not have the CFR ties that CBS and NBC do, but Chase Manhattan Bank controls 6.7 % of its stock-enough to give it a controlling interest. Chase, through its trust department, controls 14 % of CBS and 4.5 % of RCA. Instead of three competing television networks called NBC, CBS, and ABC, what we really have is the Rockefeller Broadcasting Company, the Rockefeller Broadcasting System, and the Rockefeller Broadcasting Consortium. With all of this membership in America’s key mass media, it can hardly be an accident that few people know about the Council on Foreign Relations [note: written in 1975]. If the Rockefellers wanted publicity for the CFR you can bet there would be feature spreads in Time and Newsweek plus a “ 60 Minute- CBS Special narrated by Walter Cronkite. If you check The Readers Guide to Periodical Literature at your local library, you will find but a single listing on the CFR in over 50 years. And that in the relatively obscure Atlantic Monthly. A check of newspaper files shows that only two feature articles on this incredibly powerful organization have appeared, one in the Christian Science Monitor and one in the New York Times. As we said before, such anonymity can hardly be accidental. The involvement of the Rockefellers with the media has multi implications. One is that the Rockefeller gang’s plans for monopolistic World Government are never, but never, discussed in the machines of mass misinformation. The media decides what the issues will be in the country. They can turn on the poverty issue or turn it off. The same holds true for population explosion, pollution, peace, détente,or whatever. We have in this country what columnist Kevin Phillips has termed a mediacracy. The mediacracy can take a man like Ralph Nader and make him an instant folk hero. Or they can take an enemy of the Rockefellers and create the image that he is a cretin, a buffoon, a bigot, or a dangerous paranoid. The use of psychology and propaganda, or if you will, brainwashing, is not a Communist invention. lt was developed in the West in such places as the Rockefeller financed Tavistock Institute in England. While the Communists have used these tools for mindbending, so have the Rockefellers. With money the Rockefellers gained control of the media. With the media the family gained control over public opinion. With control over public opinion they gained control of politics. And with control of politics, they are taking control of the nation. There are close ties between the company and President Bush. The Vice Chair of the company is Tom Hicks, a member of the Bush Pioneer club for elite (and generous) donors. The relationship between Bush and Hicks goes back even further, however. The two were embroiled in scandal when Hicks, as University of Texas Regent, was responsible for granting endowment management contracts of the newly created (under legislation signed by Bush) UT Investment Management Co. (UTIMCO). The contracts were given to firms politically connected to both Hicks and Bush, including the Carlyle Group – a firm which has the first President Bush on the payroll and had the second one on the payroll until just weeks before receiving this lucrative business. The board of UTIMCO also included the Chair of Clear Channel, L. Lowry Mays. In addition, Hicks purchased the Texas Rangers from George Bush, making him a wealthy man through a deal that was partially sweetened by a shiny new taxpayer financed stadium, which included valuable land obtained at below market rates through the use of eminent domain. Whether or not the close ties between the radio behemoth Clear Channel and the president have anything to do with their rallying support for his policies is unclear. If it were a small company it would not much matter. But Clear Channel is a media giant, dominating the radio and promotion industries. The potential for the alignment of big media and the government should concern us all, especially as FCC Chair Michael Powell continues to push to reduce the barriers to even further media consolidation. The House recently voted 391-22 to pass a bill to increase indecency fines from $27,000 to $500,000 — and the Senate is poised to follow. “Congress shall make no law… prohibiting the free exercise thereof; or abridging the freedom of speech, or of the press,” the First Amendment reads, but “free speech” could become extremely expensive – especially since “indecency,” it seems, is whatever Michael Powell deems it to be. “The very notion (of the legislation) runs counter to everything prescribed in the First Amendment,” Marvin Johnson, an ACLU legislative counsel, said. Accusations abound that Clear Channel illegally uses its dominance in radio to help secure control of the nation’s live entertainment business. Several cities, including Denver and Cincinnati, have charged radio station managers with threatening to withdraw certain music from rotation if the artists do not perform at a Clear Channel venue. This tactic, known as “negative synergy,” has allegedly been used to pressure record companies into buying radio-advertising spots in cities where they want to book concert venues. The growing momentum to hold Clear Channel’s business practices, such as the warehousing of stations for future purchase, comes as the FCC — chaired by Michael Powell, son of Secretary of State Colin Powell — announced that it will review the last remaining protections on media diversity. In many ways, Clear Channel has become the radio version of Fox News: You can find virtually nothing in its musical playlist or agenda that is not consistent with the Bush Cartel public relations agenda. With increased deregulation, the mutual financial benefits that the Bush Cartel and the owners of Clear Channel have enjoyed will just be another representation of the growing cancer of corporate socialist cronyism, in which the crony media barons use their stations and papers to advance the political agenda of the Bush administration — and contribute to Republican coffers. In turn, the Bush Cartel takes steps — such as increased deregulation — that enable increased profitability among the Bush Cartel media cronies. In 2004 a billboard recently put up in Orlando bearing a smiling photograph of President Bush with the words “Our Leader” is raising eyebrows among progressives who feel the poster is akin to that of propaganda used by tyrannical regimes. The Israeli influence in films and news media has profoundly affected the quality of news reporting and entertainment. Israeli attitudes and ideas are now disseminated through national media outlets which reach the entire U.S. population on a daily basis. Israeli media control determines the foreign policy of the United States and permits Israeli interests rather than American interests to decide questions of war and peace. Without Israeli media control, there would have been no Persian Gulf war, for example. There would have been no NATO massacre of Serb civilians. There would have been no Iraq War, and thousands of lives would have been saved. There would have been little, if any, American support for the Zionist state of Israel, and the hatreds, feuds, and terror of the Middle East would never have been brought to American shores. By permitting the Israeli’s to control Western news and entertainment media we are doing more than merely giving them a decisive influence on our political system and virtual control of our government; we also are giving them control of the minds and souls of our children, whose attitudes and ideas are shaped more by Israeli television and Israeli films than by parents, schools, or any other influence. In 1983, 50 corporations controlled the vast majority of all news media in the U.S. At the time, Ben Bagdikian was called “alarmist” for pointing this out in his book, The Media Monopoly. In his 4th edition, published in 1992, he wrote “in the U.S., fewer than two dozen of these extraordinary creatures own and operate 90% of the mass media” — controlling almost all of America’s newspapers, magazines, TV and radio stations, books, records, movies, videos, wire services and photo agencies. He predicted then that eventually this number would fall to about half a dozen companies. This was greeted with skepticism at the time. When the 6th edition of The Media Monopoly was published in 2000, the number had fallen to six. Since then, there have been more mergers and the scope has expanded to include new media like the Internet market. GE/NBC’s ranks No. 1 on the Forbes 500. Prior to its merger with NBC and an alliance with Microsoft, GE specialized in electronics. The peacock owns many New York sports team. It also owns or has equity stakes in many popular websites, including Snap.com and iVillage. * January 10, 2000 America Online and Time Warner announce a merger in a stock swap valued at $350 billion. * October 11, 2000 The European Commission clears the merger but makes Time Warner drop its plans for merger with EMI, the U.K.-based music group. *December 14, 2000 The Federal Trade Commission approves the merger. Commission approves the merger with conditions to maintain competition on Time Warner’s high-speed cable lines. AOL’s shares have fallen by 35 percent since the merger was announced, to around $105 billion from $160 billion. HBO USA; HBO Home Video; HBO Pictures/ Showcase; HBO Independent Productions HBO Downtown Productions; HBO NYC Productions; HBO Animation; HBO Sports; Cinemax; Time Warner Sports; HBO International; HBO Asia; HBO en Espanol; HBO Olé (with Sony); HBO Poland (with Sony); HBO Brasil (with Sony); HBO Hungary; Cinemax Selecciones. HBO Direct (DBS); Comedy Central (50 percent owned with Viacom); CNN Time Warner Cable (13 million customers in USA); Road Runner (high-speed cable modem to the Internet); and 16 others, including New York City Cable Group with over one million subscribers. (Production and Distribution) Warner Bros.; Warner Bros Studios; Warner Bros. (production); The WB Television Network; Hanna-Barbera Cartoons; Warner Home Video; and nine other national and international operations, including Warner Bros. International Theaters (owns/operates multiplex cinemas in 12 countries). America Online (over 22.2 million subscribers); AOL International (4.4 million subscribers in 14 countries, services in seven languages); AOL.com portal; CompuServe Interactive Services; AOL Instant Messenger; AOL Europe; AOL MovieFone; Netscape Communications; Road Runner; and @ Home. Warner Music Group: Recording labels include Atlantic Group; Atlantic Jazz; Elektra; Warner Bros. Records; Reprise; Warner/ Chappell Music (publishing company); and 47 other labels, including Warner Music International. Warner Bros. Studio Stores (stores in over 30 countries); Warner Bros. Recreational Enterprises (owns and operates theme parks); Warner Bros. Consumer Products. Entertainment Stations: TBS Superstation; Cartoon Network; Turner Classic Movies; Cartoon Network in Europe; Cartoon Network in Latin America; TNT; and Cartoon network in Asia/Pacific. Film Production: New Line Cinema; Fine Line Features; Turner Original Productions. Sports: Atlanta Braves; Atlanta Hawks; Atlanta Thrashers; Turner Sports. Other operations: Turner Learning; CNN Newsroom (daily news program for classrooms). With its 1995 merger with Capital Cities/ ABC, Disney has become a fully-integrated media giant. In addition to its theme parks, the company profits from retail outlets, magazines, book publishers, websites, motion pictures, sports teams, TV, cable, radio, music and newspapers. Walt Disney Company Book Publishing; Hyperion Books; Miramax Books. The Disney Channel; Toon Disney; ESPN Inc. (80 percent), includes ESPN; ESPN 2; ESPN News; ESPN Now; ESPN Extreme; Classic Sports Network (with AT&T); A&E Television (37.5 percent); The History Channel (with Hearst and GE); Lifetime Television (50 percent); E! Entertainment (34.4 percent). Germany; RTL-2 Germany; Hamster Productions France; TV Sport of France; Tesauro of Spain; Scandinavian Broadcasting System; Eurosport England; Japan Sports Channel. Buena Vista Television; Touchstone Television; Walt Disney Television; Walt Disney Television Animation (production facilities in Japan, Australia, Canada). Walt Disney Pictures; Touchstone Pictures; Hollywood Pictures; Caravan Pictures; Miramax Films; Buena Vista Home Video; Buena Vista Home Entertainment; Buena Vista International, Lucasfilm. In 2012 Disney bought Lucasfilm for $4 billion, adding the legendary Star Wars franchise to the entertainment giant’s stable of characters. Five magazine publishing groups: ABC Publishing Imprints; Disney Publishing Inc.; Diversified Publications Group; Miller Publishing Group. Titles include Automotive Industries; Disney Magazine; ESPN Magazine (distributed by Hearst); Institutional Investor; Kentucky Prairie Farmer. Four daily newspapers, including St. Louis Daily Record. Buena Vista Internet Group; ABC Internet Group; ABC.com; ABCNEWS.com; Oscar. com; Mr. Showbiz; Disney’s Daily Blast; Disney.com; Family.com; ESPN Internet Group; ESPN.sportszone.com; Soccernet.com (60 percent); NFL.com; NBA.com; NASCAR.com; Go Network; Infoseek (43 percent); Toysmart.com (majority stake, educational toys). Disney Interactive (develops and markets computer software, video/DVD games, CDs). Bertelsmann produces, serves and markets media. Our content is contributed by RTL Group, the No. 1 European broadcaster; Random House, the world’s largest bookpublishing group; Gruner + Jahr, Europe’s biggest magazine publisher; and BMG, the division which holds the joint venture stake in Sony BMG Music Entertainment, the second largest music company worldwide. Gruner Jahr is Bertelsmann’s magazine division, publishing 80 magazines worldwide. The imprint Springer specializes in books ranging over subjects such as medicine, psychology, physics, astronomy, management, economics and law. It publishes 2,000 titles a year, 60 percent written in English. In addition it publishes a range of trade and professional literature for groups such as doctors, architects, and the construction industry. This division organizes the printing of Bertelsmann’s books, magazines and catalogues. In the United States its printing companies include Berryville Graphics; Dynamic Graphic Finishing; Offset Paperback Manufacturing; in Germany, Elsnerdruck; maul-belser; and MOHN Media; in Spain, Printer Industria, Grafica. Bertelsmann Services Group organizes address and database management, call centers, and financial and e-commerce activity at 20 locations, mainly in the United States, Europe and South America. * September 7, 1999 Announcement of Viacom and CBS merger. * May 4, 2000 Federal Communication Commission approves merger. New company to be called Viacom, worth $90 billion. Viacom’s purchase of Paramount, CBS and Blockbuster Video enables them to use cable, television, movies, comic books, theme parks, music publishing and book publishing to cross-market their products. Broadcasting alone brings in over $6 billion in revenues. Division publishes over 2,000 titles annually under 38 trade, mass market, children’s and new media imprints. These include Simon and Schuster; Scribner; The Free Press; and Nickelodeon. CBS Television Network, with 200 affiliated stations; MTV Networks, reaching 342 million households worldwide; Nickelodeon, seen in over 300 million households worldwide; VH1; TNN; MTVN (also involved in other businesses that promote its brand, including films, books, online and consumer products); Paramount Television (six divisions supplying television programming); CBS Enterprises (distributes U.S. television programming); United Paramount Network (UPN) (200 affiliated stations); Showtime Networks Inc. (SNI) (owns the television networks); Showtime; The Movie Channel; FLIX The CBS Television Stations Division consists of 35 television stations, 16 owned-andoperated CBS stations and 19 UPN-affiliated stations; Comedy Central (jointly owned by Viacom and HBO), an all-comedy network; and Viacom Plus, the company’s integrated sales and marketing arm. Infinity Radio: 180 radio stations in 34 U.S. cities make it one of the largest radio broadcasters in the USA. Infinity Outdoor and TDI Worldwide specialize in outdoor and billboard advertising. Together they comprise the largest advertising company in the world. Paramount Pictures; Paramount Home Entertainment (films on video and DVD); Famous Players (107 cinemas with 856 screens in Canada); United International Pictures (UIP) (33 percent interest); United Cinemas International, a joint venture between Viacom and Vivendi Universal (104 cinemas in Europe, Japan and South America); Viacom Consumer Products, merchandising from film and TV programming; Famous Music Publishing, copyrights for music over seven decades. MTVi Group provides online music through MTV.com; VH1.com; Sonicnet.com. CBS Internet Group comprises CBSNews.com and 20 other Web sites, including CBS.SportsLine.com. Nickelodeon Online has a range of sites for children and parents. Blockbuster is the world’s largest renter of videos, DVDs and video games. 7,300 stores in the United States and 26 other countries. Paramount Parks has five North American theme parks, including Raging Waters (San Jose, California) and Star Trek: The Experience (Las Vegas, Nevada). HarperCollins Publishing, including HarperCollins U.K.; HarperCollins Canada; and HarperCollins Australia. U.S. imprints include Perennial; Quill; Regan Books; Amistad Press; Hearst Book Group (acquired 1997); includes William Morrow; Avon; HarperCollins Children’s Book Group; and Zondervan Publishing House (world’s largest commercial Bible publisher). In January, 2001, reports suggested that Rupert Murdoch had ordered a clampdown on new investment and would conserve resources for the largest deal in the company’s history, the $40 billion acquisition of DirecTV, the U.S. satellite broadcaster currently controlled by General Motors. Independent Newspapers Limited (49.7 percent) Nine daily, two national Sunday and more than 40 suburban and community newspapers. 14 national magazines and three regional papers in Australia. Also papers in Fiji and Papua. In January, 2001, News Corporation effectively closed its News Digital Media, the company’s Internet division. The news, sports and entertainment web sites will be absorbed into other divisions. Unconvinced about how to make money from the Internet, it was only in mid-1999 that the company earmarked over $2 billion for online projects. All this has now come to an abrupt halt. They own the social networking group named Myspace. The Staples Center (Los Angeles), 40 percent stake in the sports and entertainment complex; Los Angeles Dodgers; Ansett Australia (50 percent); Ansett New Zealand; Ansett International (24 percent); Ansett Worldwide Aviation Services (50 percent); Australian National Rugby League (50 percent). Stakes of 10 percent in various U.K. football clubs, including Manchester City. Vivendi SA (formerly known as Vivendi Universal) is a French media conglomerate with activities in music, television and film, publishing, telecommunications, the Internet as well as video games. Havas is the group within Vivendi dealing with publishing and multimedia. It comprises 60 publishing houses, selling 80 million books a year. Havas book imprints include: Educational: Nathan; Bordas; Anaya; Atica; Scipione. Reference: Larousse; Harrap; Chambers; Literature: Laffont; Plon; les Presses-Solar-Belfond; Havas Poche; General and trade: Dalloz Dunod; Heath; Vidal; Masson; MIMS. Havas Press includes: L’Express; Building; L’Expansion; Property Week; Medical Progress; Tempo Medico; Medical Observer; Le Quotidien du Medecin; Coktel; Knowledge Adventure; Larousse Multimedia; Harrap’s Multimedia; athan Multimedia;Syracuse Language; Blizzard; Sierra; Won.net Havas eContent Publishing; ePocket Havas Numerique; Atmedica; Cadres On Line; Bonjour. fr 01Net. Havas sell 40 million CD-ROMS a year. VivendiNet Brings together all the group’s Internet activities. Vizzavi, a European multi-access portal (in partnership with Vodaphone); Education.com, online learning portal; Flipside.com, online games portal; Viventures, venture capital fund with investments in 54 Internet companies in United States and France; @viso, 50/50 joint venture with Softbank for start-ups in continental Europe. “Miami Vice,” “Columbo”). Several theme channels, including SciFi (U.K.) Action and Suspense Channel; 13ème Rue; USA Network. AT&T (TCI) – Recently acquired by AT&T, TCI’s hold on cable, internet and local phone services contributed to $7.6 billion in 1997 revenues. TCI is the second-largest US cable television system provider, and it has 10% ownership of Time-Warner/Turner. The company owns all or part of USA Network, Sci-Fi Network, E!, Court TV, Starz! and Starz! 2, Black Entertainment Television, BET on Jazz, BET Movies/Starz! 3, CNN, TNT, Headline News, Prime Sports Channel, The Learning Channel, Discovery Channel, QVC, Q2, Fox Sports Net, The Travel Channel, Prevue Channel, Animal Planet, The Box, Telemundo, International Channel, Encore, MSG Network, Action Pay-per-view, and the Home Shopping Network. As the media in this country continues to consolidate into the hands of larger corporations, they become less and less responsive to the concerns of the average citizen. The public airwaves in this country have slowly been taken away from the public. There was a time when broadcasters were called upon to be responsive to the needs of the citizenry and present all sides of any given issue. It was part of their calling – to be the Watchdog of Democracy. In the year 2002, our media has abandoned their responsibility to the country. The view that gets advanced is no longer the view of the ‘little guy’ – it’s the view of ownership, of top management, of major corporations. Editorial decisions are made with one eye on the political slant that will best benefit the company, and one eye on the bottom line. The corporate view is tainted, in that it looks for the best way to advance the corporation’s financial interests. The result is this – instead of behaving as the Watchdog of Democracy, the media has become the Lapdog of government. We are fed hours and hours of distraction instead of hard news. Instead of hearing both sides of the debate on the pending war on Iraq, we are given hours of justification for going to war. The anti-war position is marginalized, even mocked, by supposedly ‘objective’ journalists. Instead of an open debate on both sides of any issue, the side which will benefit the Corporate Media is advanced as the ‘correct’ side. Behind TV “military analysts ,” the Pentagon ’s hidden hand Records and interviews show how the Bush administration has used its control over access and information in an effort to transform the analysts into a kind of media Trojan horse, an instrument intended to shape terrorism coverage from inside the major TV and radio networks. Analysts have been wooed in hundreds of private briefings with senior military leaders, including officials with significant influence over contracting and budget matters, records show. They have been taken on tours of Iraq and given access to classified intelligence. They have been briefed by officials from the White House, State Department and Justice Department, including Mr. Cheney, Alberto R. Gonzales and Stephen J. Hadley. In turn, members of this group have echoed administration talking points, sometimes even when they suspected the information was false or inflated. Some analysts acknowledge they suppressed doubts because they feared jeopardizing their access. A few expressed regret for participating in what they regarded as an effort to dupe the American public with propaganda dressed as independent military analysis. “It was them saying, ‘We need to stick our hands up your back and move your mouth for you,’ ” Robert S. Bevelacqua, a retired Green Beret and former Fox News analyst, said.